Prisma takes picture framing into a whole new spectrum. 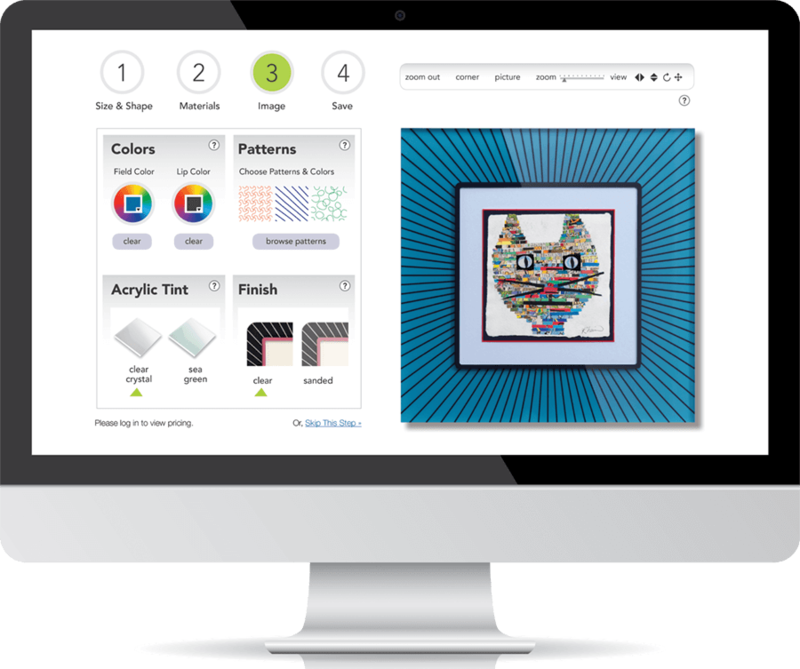 Combine color, shape and graphic pattern for original seamless frame creations. Part art and part science, Prisma Frames combine engineering ingenuity with a passion for great picture frame design. 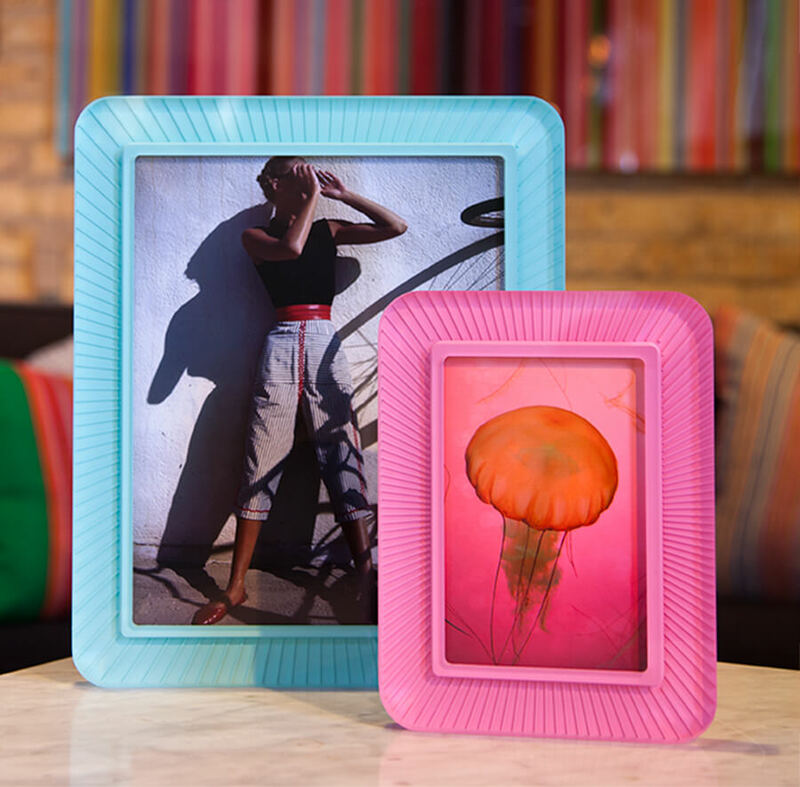 Bella Moulding introduces Prisma Frames, a completely customizable and versatile picture frame line manufactured in Chicago, IL of high-grade acrylic. Filling a unique niche for extraordinary framing, Prisma Frames find a home in any residential or commercial design-driven environment. 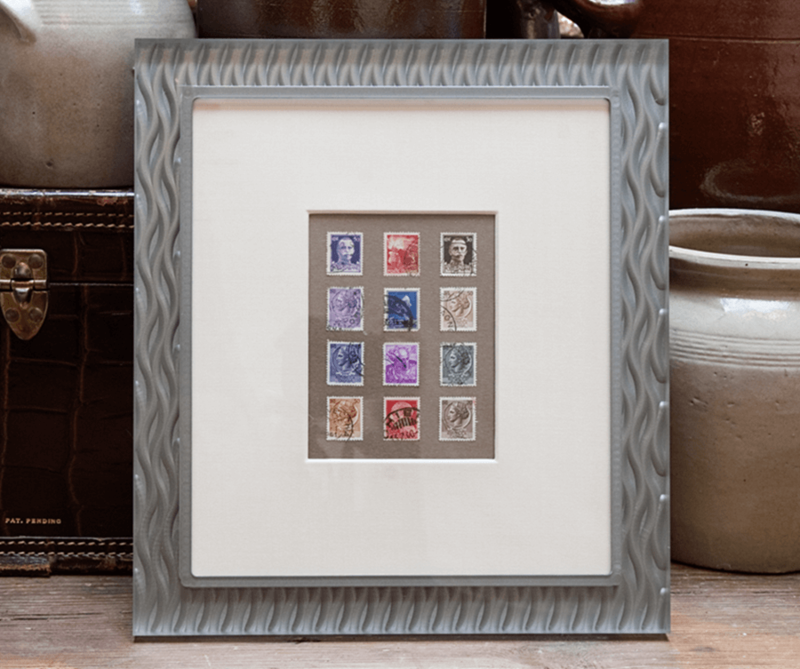 Prisma frames are available from fine frame shops and galleries throughout the USA, Canada, Mexico and Australia. As there are over a billion options, you cannot have a corner sample of every option in this versatile line. Our online program allows customers a preview of their design creation. Upload the artwork, and the final design with specs can be emailed as well as ordered directly from the site. Shop our range of styles and colors. 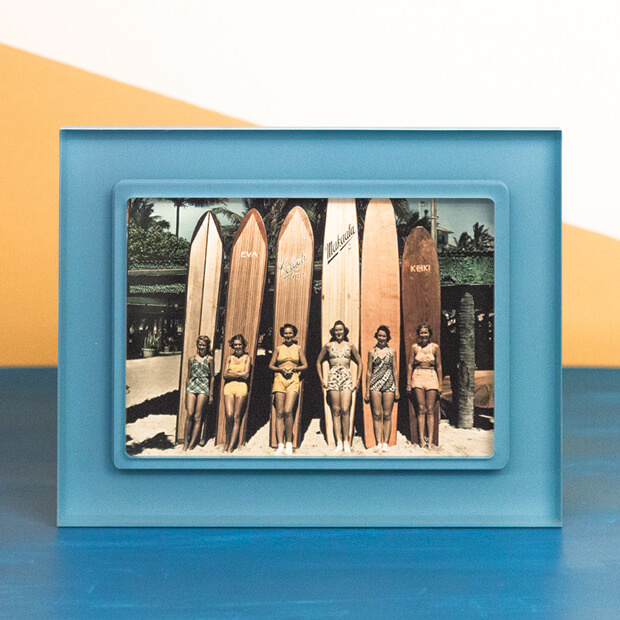 All frames include 100% Archival Materials and UV-Protective Glazing.